What machine learning algorithms can be suitable for data and images? In this post I would like to give brief idea about when to use which algorithms on what data. We have gone through the previous post, Introduction to machine learning. Machine learning is used to filter spam data, recognizing the face, recommendation engines.When you have a large data set on which you’d like to perform analytical analysis or for example to recognize the patterns. To avoid explicit programming, we can use machine learning, to train computers which can learn, analyse and act on the data as we specified.These qualities make machine learning more powerful on these days and also all the machine learning softwares are free.We can also implement our application on single machine or massive scale. Here I am giving brief introduction of 11 machine learning tools, provides functionality for individual apps. This Scikit learn is implemented on the top of existing python packages like NumPy, SciPy, and matplotlib. The resulting libraries can be used either for interactive “workbench” applications or be embedded into other software and reused. It is an open source. 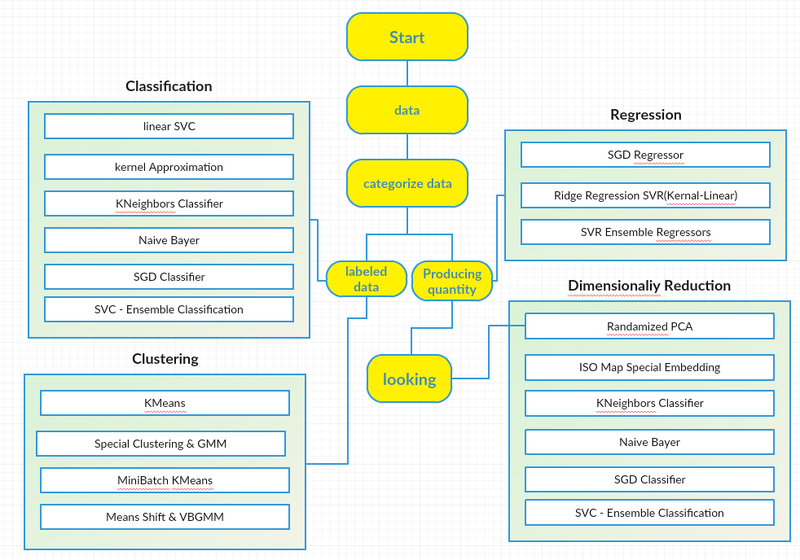 Scan the list of things available in scikit-learn and you quickly realize that it includes tools for many of the standard machine-learning tasks (such as clustering, classification, regression, etc.). And since scikit-learn is developed by a large community of developers and machine-learning experts, promising new techniques tend to be included in fairly short order. It is a free, open source toolbox, which is written in c++, it contains many algorithms and data structures for machine learning problems.The core of shogun is written ibn C++ and also it provides the interfaces like Java, Python, C#, Ruby, R, Lua, Octave, and Matlab. Shogun is a faster and easy to work with, than other libraries. It has the pre-calculated kernels. Shogun was developed with bioinformatics applications. It is capable of processing huge datasets consisting of up to 10 million samples. .
Kernals takes two inputs and spits out how similar they are. There are different kernels implemented, ranging from kernels for numerical data (such as gaussian or linear kernels) to kernels on special data. MLlib is Apache’s own machine learning library for Spark and Hadoop, it contains a range of common algorithms and useful data types, designed to run at speed and scale. •It is built on Apache Spark, a fast and general engine for large-scale data processing. •Run programs up to 100x faster than Hadoop MapReduce in memory, or 10x faster on disk. •Write applications quickly in Java, Scala, or Python. Coming to scala users, they can write code against MLlib. If setting up a Hadoop cluster is impractical, MLlib can be deployed on top of Spark without Hadoop. The Mahout framework has long been tied to Hadoop, but many of the algorithms that present in it can also run as-is outside Hadoop. Mahout primarily used in producing scalable machine learning algorithms. They're useful for stand-alone applications that might eventually be migrated into Hadoop or for Hadoop projects that could be spun off into their own stand-alone applications. Some of the companies such as Adobe, Facebook, LinkedIn, Foursquare, Twitter, and Yahoo use Mahout internally. 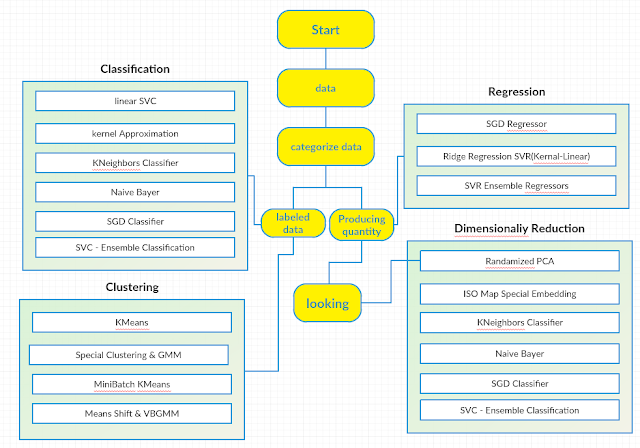 This is also a machine learning framework which is uaed for signal processing. AForge.net. “Signal processing,” by the way, refers here to a range of machine learning algorithms for images and audio, such as for seamlessly stitching together images or performing face detection. AForge.net: These algorithms are used for video reading and used to implement such functions as the tracking of moving objects. Accord: These algorithms also include libraries that provide a more conventional gamut of machine learning functions, from neural networks to decision-tree systems. This is an open source math and machine learning engine for big data that brings distribution and parallelism to powerful algorithms while keeping the widely used languages of R and JSON as an API. • It has storage platform and provides a user-friendly interface for easy querying. • Users interact with H2O via a GUI that uses standard R statistical analysis syntax while running machine learning algorithms behind the scenes. • One greater feature is, because of its in-memory distributed key value store, H2O can process data faster and at a larger scale than other predictive analytics solutions. • And also it is very fast, interactive, real-time predictive analytics.The applications are vary from different domains. The speed and flexibility of H2O allows the user to fit hundreds or thousands of potential models as part of discovering patterns in data. It has the interface for JAVA, SCALA, PYTHON and R.
Users of H2O and 0xdata include Netflix, Rushcard, Trulia, and Vendavo for machine learning on their big datasets. Cloudera Oryx machine learning project is also designed for Hadoop, Oryx is designed to allow machine learning models to be deployed on real-time streamed data, enabling projects like real-time spam filters or recommendation engines. Oryx is used to implement recommendation systems. Using Oryx we can try to build recommendation engines. GoLearn contains the lack of an all-in-one machine learning library, the simplicity comes from the way data is loaded and handled in the library, since it’s patterned after SciPy and R.
We can easily extend the implementations of data structures. By now most everyone knows how GPUs can crunch certain problems faster than CPUs. But applications don’t automatically take advantage of GPU acceleration; they have to be specifically written to do so. CUDA-Convnet is a machine learning library for neural-network applications, written in C++ to exploit the Nvidia’s CUDA GPU processing technology;For those using Python rather than C++, the resulting neural nets can be saved as Python pickled objects and thus accessed from Python.